Most of us don’t really bother to know how an RV power converter works, but though curiosity killed the cat, it doesn’t hurt to bring the whole thing down to a science. To begin this exposition, we have to know what a power converter/charger is. Basically this is a type of device that converts household power (110 Volts AC – alternating current) to battery power (12 Volts DC – Direct Current). This will automatically charge the RV power converter batteries. RV power converters are mostly used for bringing power to lights, vent fans, refrigerators, thermostats and the like. 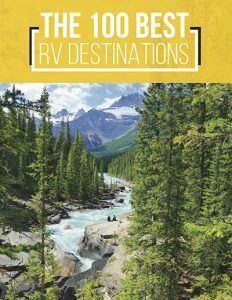 It is worth noting, you will only need an RV power converter if you want to charge the RV batteries after plugging them into shore power, or when you are using a generator. 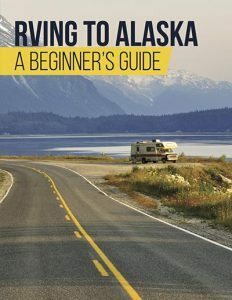 In places endowed with lots of sunshine, when one is using solar power, you could discard the RV power converter, or not really need it at all, but with the weather being dynamic in most places, you really need to be armed with one. Failing to function due to a complete lack of power. You may also encounter scenarios in which the supply power is present, but in inadequate amounts for normal functioning of the 12-volt DC electrical system. The problem may be in the background, and may not be manifested until all the 12-volt batteries are completely exhausted of their charge. The reason for this, is that the RV power converter works in a way that maintains a constant supply of charge to the batteries, and this will be determined with the amount being drawn from the 12-volt DC system. There are also instances where one bad battery will draw charge from the normal batteries, and then cause these to fail at the end. It is recommended that you inspect the batteries individually, to determine if they are fully charged. The recharging ability of these batteries should also be inspected by the aid of a multimeter, to determine if any of them are losing charge over time. First of all, determine if the RV power converter is the component which has malfunctioned in the system. 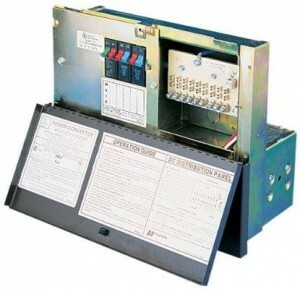 After connecting the RV power converter to the power supply, proceed to check if the voltage, at the point of entry, is in the range of 108-130 volts, as any reading within this range will be okay. After ascertaining the above, you can then check the voltage at the point where the RV power converter connects to the 12-volt DC breaker box. For normal functioning, this should be within the range of 11-13 volts. A failing RV power converter will show readings which are below this. After checking on these two points, and ruling out a problem there, you will then look at the individual components. A small fan is usually in place to cool the components of the RV power converter as the whole electrical system is charging. A fan that is functioning normally will produce some sound. The operation of the fan is powered with the 110-volt AC line. If at any time, the fan malfunctions, it is pretty easy to replace the fan, but it may be tricky finding a replacement. Make sure you have the details of the original fan, such as: the make, the amperage, and the voltage. Online sources may help you find the correct one. There are cases where a fan of a different make would be suitable for an RV power converter, but the voltage and amperage should be checked to see if they match those of the initial fan. The motor from a different make of fan may also fit in the RV power converter. You may also need to replace your RV power converter thermostat, if it is not supplying enough voltage to the cooling fan. There is a thermal sensor for switching the cooling fan on and off, which is dependent on the operating temperatures of the various components of the RV power converter. Make sure that the thermal sensor is working properly before determining that you need a new fan. In some of the RV power converters, a resistor controls the voltage to the batteries and the 12-volt DC system. Some models have it riveted to the converter box, and its reading should be in the range of 3-13 volts. This will be determined by the charge present in your battery. Make sure the batteries are being fully charged, as a low charge would give a reading out of this range. To access the resistor, it may be necessary to disassemble the converter box. You need to exercise caution when you remove the circuit board, as this is a vulnerable component. The rivet has to be drilled out, and then replaced by the correct resistor. You can use any 12-volt DC resistor, provided the values are the same. These type are mostly used in automotive applications. After you are done with replacing the resistor, see to it that your batteries are fully charged using the right voltage. You may find yourself in a situation which makes it hard for you to get the necessary replacement for the damaged part of your RV power converter. 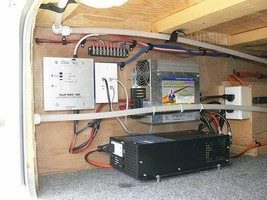 Purchasing and installing a new RV power converter is not terribly expensive. One brand of replacement you can consider is the Progressive Dynamics Inteli-Power converter. You have the option of selecting from several models, depending on your needs. An RV power inverter will convert 12-volt DC battery power into 110-volt AC power that enables your electronic devices to work. There are basically two types of RV power inverters: the Pure Sine wave power inverters and the Modified Sine wave inverters. The Pure Sine wave inverters are more efficient and effective, but are more costly, while the Modified Sine wave inverters are more affordable, and they will power most of your commonly-used electric devices. Fancy and expensive devices will require you to use an RV power inverter of the Pure Sine wave type, and the outlets which are from Pure Sine wave inverters are usually protected by GFCI. The most recommended RV power inverter is the Magnum, which comes with a 3-year warranty. These units are favorites of many RV technicians. The Xantrex power inverter is also among the best and it comes with a 2-year warranty. I hope the above information comes in handy, if you need to deal with any RV power converter issues or replacements. It would be wise to check on your RV power converter from time to time, to make sure that it is functioning properly.